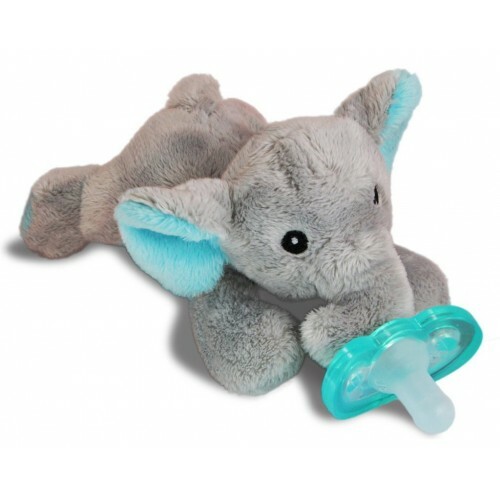 Razbaby Raz-Buddy Jollypop With Removable Pacifier Elfy Elephant Plush Toy. Nothing soothes a baby like a favorite pacifier. The soft and cozy RaZ-Buddy® Coco Bunny Pacifier Holder is part plush toy and part pacifier. A great way to ensure that Baby's favourite dummy is never lost, dropped, or misplaced. Jollypop® pacifier is removable. Makes a wonderful baby shower gift or new baby gift!